After our first Sunday morning hockey game of the season, we briefly considered visiting Nha Trang on Broadway. We ended up passing and headed to Pho Quyen instead. It was an interesting choice considering both restaurants do not look that inviting from the outside. You have Pho Quyen with its tinted windows which made it appear closed and then Nah Trang's frontage is so cluttered that it looks more like a disorganized produce store than a Vietnamese restaurant. Despite this, I remained intrigued. So I made my way out there the following week. Upon entering the place, it was quite obvious that they kept the Greek decor of the previous restaurant. Hey, it's about the food, not the decor in a Vietnamese restaurant right? I ended up ordering the Bun Bo Hue since someone else already got the Pho Dac Biet. 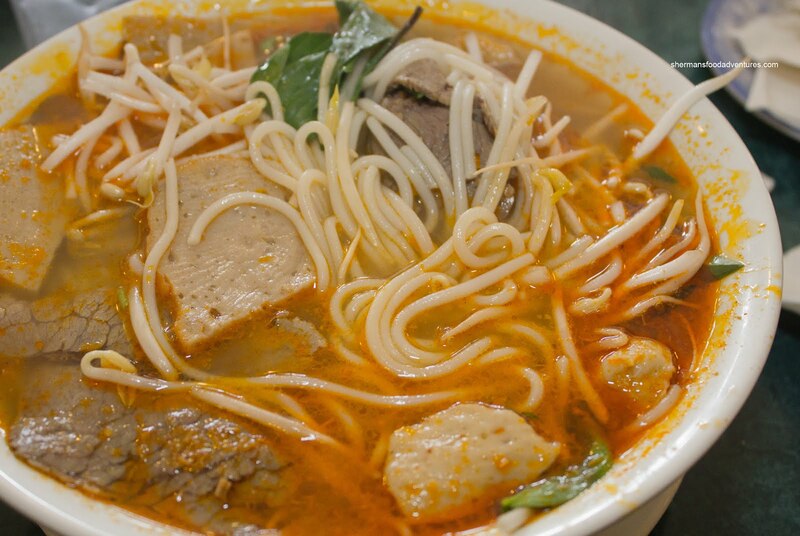 Despite the lack of pork knuckle, the Bo Bun Hue was passable. It wasn't that spicy and did exhibit some fragrance. There could've been more lai fun noodle, but there was enough meat (which was tender). 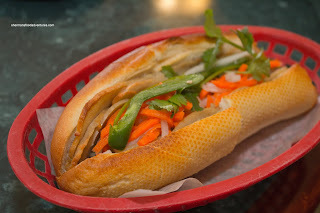 As a side, I got a House Special Banh Mi which was toasted up nicely where the bread was crunchy while airy inside. There was a decent amount of meats. The pickled veggies were a little weak, yet were still crunchy. The meal would not be complete without an order of Pho Dac Biet right? 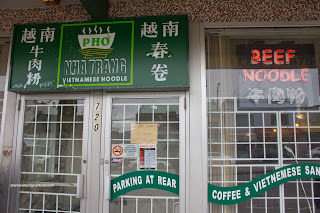 Well, if Miss Y was here, I guess we wouldn't even order Pho. She'd probably ask for a Moussaka or something... Considering the leftover decor of the former restaurant, I would probably not be surprised if someone tried to order that... 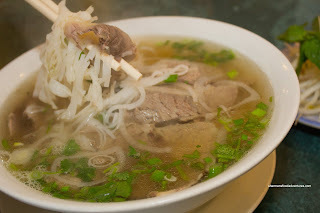 So the Pho was actually not bad. The broth wasn't exactly super flavourful, but it was pretty typical and exhibited a sweeter taste. We couldn't really pick out the individual flavours as it was on the lighter side. The noodles were slightly clumpy while the meats were tender an moist. The portion size was neither big nor small. 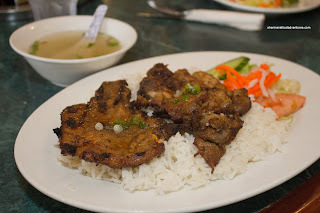 With trying to cover all the basics, we also got an order of the Lemongrass Chicken & Pork Chop on rice. The chicken was moist and tender with a mild char on the outside. There was definitely a lemongrass hit. The same could besaid about the pork chop as well, yet it was not as m oist as the chicken. This was quite a large plate of food consider the amount of rice as well (which was chewy and well made). In general, Nha Trang did the job with little fanfare. In a sea of Vietnamese restaurants in Vancouver, it merely slots in the middle somewhere. Okay if you were in the neighbourhood, but not some place you'd need to specifically drive to either.